I think it’s possible. I just think it may not be for Peter Weyland. I mean, who knows? When you look at science fiction and the ways in which you can cut the pie and things can develop — technologically speaking, etcetera — anything’s possible, really, isn’t it? Particularly with Ridley at the helm. Prometheus 2 is currently slated to release on March 4, 2016, with Noomi Rapace and Michael Fassbender both expected to return. The storyline is rumored to pick up right where the first Prometheus left off, with Dr. Elizabeth Shaw and the android David searching to find the Engineers. What exactly Shaw’s plan is once she finds them remains to be seen. The most obvious option is “Be brutally murdered,” but I’m guessing they probably won’t go that direction. Meanwhile, if you want to dive deeper into the mythology, later this summer Dark Horse is launching four new interrelated comic series: Prometheus, Aliens, Predator, and Alien vs. Predator. You can check out some of the gorgeous painted covers here. Noomi Rapace is no soft and fuzzy. 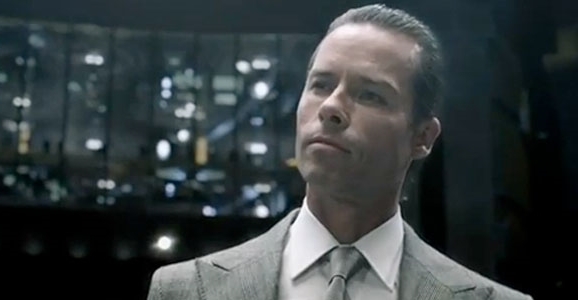 Guy Pearce would be welcome Prometheus 2 ,it’s Lindelof that has us worried.